Did you think I died? Well, my husband started law school and I have been struggling to adjust to two kids and being a "law school widow." 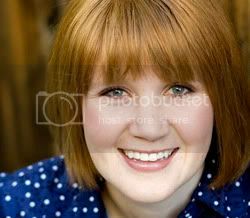 I have had some other major changes in my life and finally am feeling a little more normal. With a little baby and a potty-training toddler, I don't have a lot of time in the kitchen unfortunately. I try to celebrate my husband being home on the weekends with a little more experimenting in the kitchen. I saw this idea on Pinterest the other day. It is a super easy and inexpensive meal. 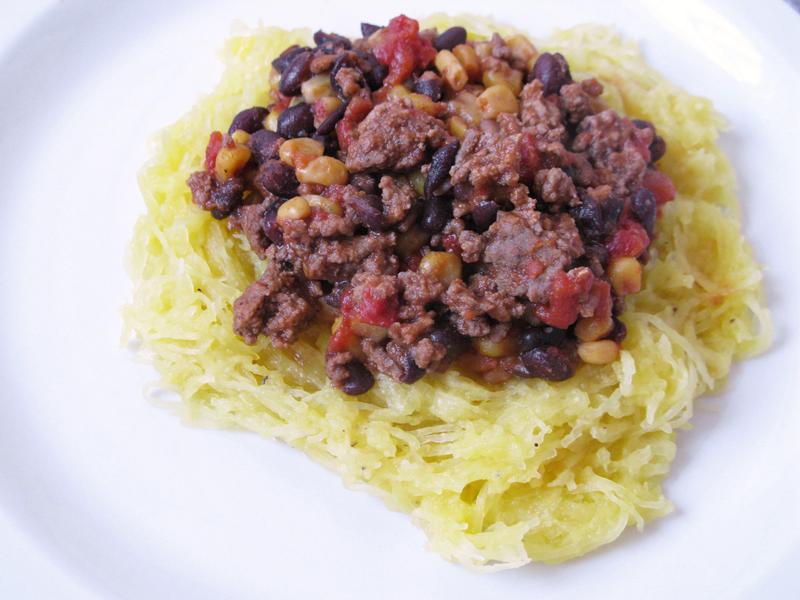 You just put your favorite chili recipe on top of Spaghetti Squash. Use this method for easy cooking. My spaghetti squash was pretty big and my husband likes it a little softer, so we microwaved it for about 1 1/2 times what I did in that post. I tossed the Spaghetti squash in butter, salt, and pepper, and then topped with a simple "chili." Combine all ingredients in medium saucepan, season to taste. Heat until warm.